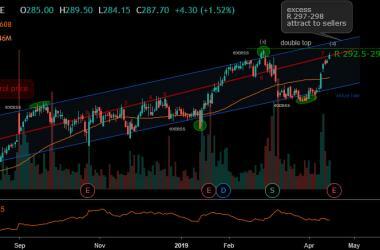 Home » Clear projection for NIFTY and Nifty future, will not fall…! 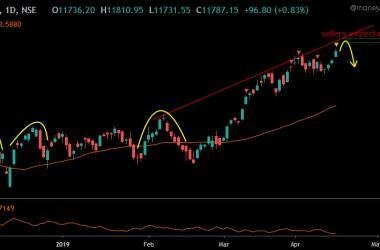 Clear projection for NIFTY and Nifty future, will not fall…! Yesterday, Exactly Nifty future followed my level. I had written that selling will come to 11758 and NF made high of 11754. 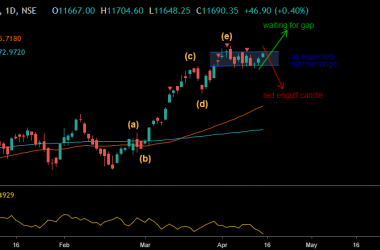 Target was achieved by NIFTY as 11667. 11700 PUT of NIFTY was achived target 128 and made high (138) from Rs. 22. This is spot Nifty chart. Resistance is for spot nifty at 11674 nearby (suppose to not corss it and stay above it): If cross it then, we can face this level as fair value. if cross the price 11750 and stay for 15min above it. then NF can move up. 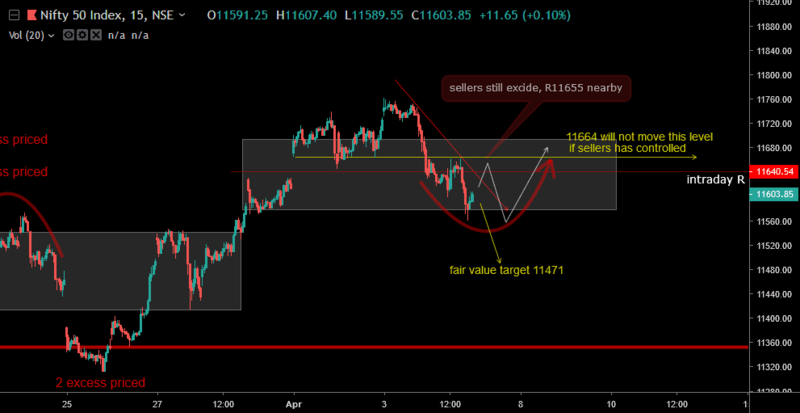 Support and targets 11654-11664 intraday. Previous ArticleTrade setup on HDFC in advance for safe tradersNext ArticleIts time to take advantage of knowledge over the NIFTY, studied.